Among the various dictionary definitions of cruise is ‘to travel without destination or purpose’ but there is little chance of that on these seven sailings – designed to indulge passengers’ passions. From writing a novel or memoir to dancing like a professional or mastering the ukelele, these cruise companies have produced schedules for enthusiasts eager to get more out of days at sea than a suntan, a hangover and a dent in their bank balance. Spades or clubs? There are also options for the keen gardener or golfer – as our rundown shows. The Crossing: Seven days from New York to Southampton aboard Cunard’s Queen Mary 2. USP: Meet bestselling authors such as Louis de Bernières, Sebastian Faulks and Victoria Hislop over champagne in the largest library at sea. Hear them read excerpts from their books, then be interviewed in the Royal Court Theatre. Join in: Take a workshop on researching your novel or writing your memoir. Homework: Read the book club choice ready for the discussion led by James Naughtie. 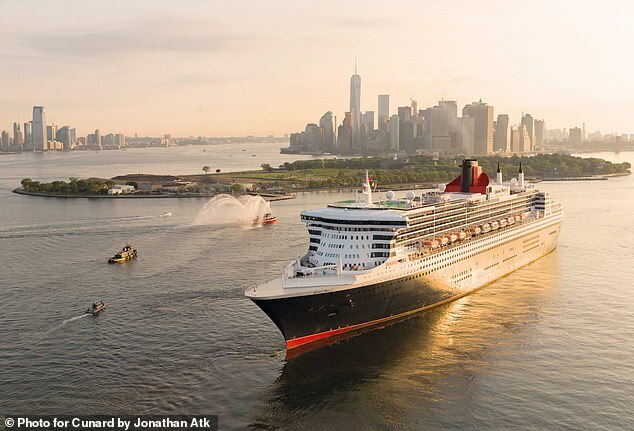 Book it: QM2 sails on November 10, 2019. Fares start at £1,599pp, including the flight to New York, with Cunard.